Many of us insist that we need that morning cup of coffee or enjoy a leisurely coffee break each afternoon, but it seems inevitable that we’ll spill some of that mocha java. Hopefully, it’s just an easy to wipe up spill and not one that ends up on an absorbent surface like the rug or furniture! Sadly, a lot of us know the slow-motion horror of a mug of black coffee headed straight for the carpet or sofa, though. 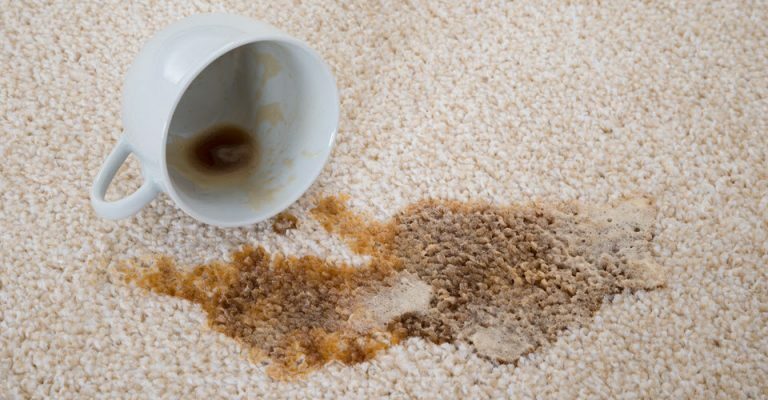 While you might rush for the nearest bottle of universal stain remover or carpet cleaner, if you have a valuable Oriental or Persian rug, or one made of delicate materials, you’ll want to use caution when removing coffee stains. Have you tested the rug (new or old) for color fastness? If not, you’ll want to do so to ensure that any attempts at any sort of cleaning will not also end up with the colors bleeding and running or fading away. 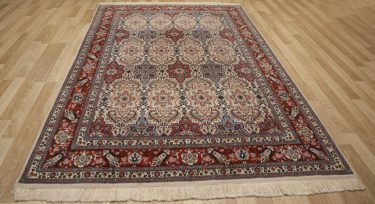 If your rug is not color fast, it is a good idea that you contact a professional to tackle the cleaning. 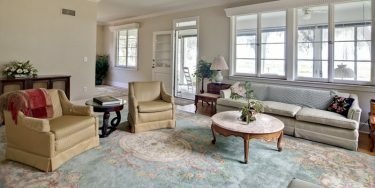 Whether it is an old or new coffee stain or any other issue, if a valuable rug is not color fast, it is a job for the expert. If it is color fast, you need to be attentive to the carpet fibers. Longer fibers are tougher to blot clean and may require a lot of time before you get rid of all of the cold water you will use to eliminate a stain. Additionally, natural fibers are not going to stand up to the use of a lot of water but will definitely succumb to chemical cleansers and ammonia based solutions. So, skip the cleansers and rely on simple, mild dish soap heavily diluted with water to ensure the rug’s stability. 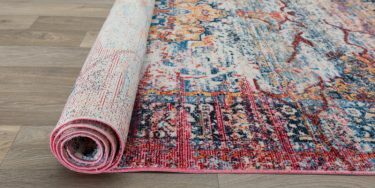 Perhaps you have purchased a rug or inherited one and you see that it has some staining? This is a challenge and you’ll need to use the same techniques as outlined below, along with that gentle soap bath just mentioned above. 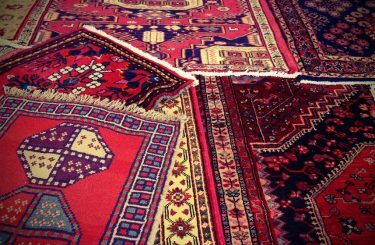 Don’t scrub or use chemicals out of stubbornness as these can damage or even destroy the rug. A fixed stain may be just that – fixed – but you can also speak with an expert in carpet cleaning. So, you are rushing to get out the door and to work or wherever it is you happen to be heading and you drop that mug of coffee. Even if it was a travel mug, you might have ended up with a stain, and you must take a few moments to do a sort of pre-emptive strike on the spill and its resulting stain. To address the fresh stain, you’ll want to work from the outside and in (thereby preventing stain spread). You’ll NEVER scrub the stain but instead consistently blot and press inward to soak up the coffee. At this moment, a clean white towel and cold water are your best allies, but you’ll need to move to a clean area of the towel with each blot in order to soak up more coffee. Keep blotting and switching to a clean towel until most of the coffee has transferred. Never rush stain removal and always use a gentle hand. It is possible to eliminate a fresh coffee stain, but if you are even a little worried, consult with an expert.